First Floor 788 sq. 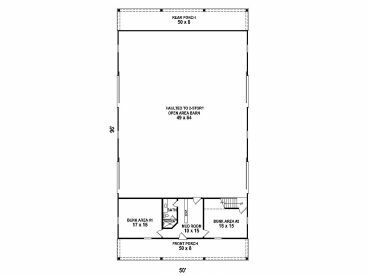 ft.
Second Floor 412 sq. ft. Farmers and ranchers will be delighted with this outbuilding plan. 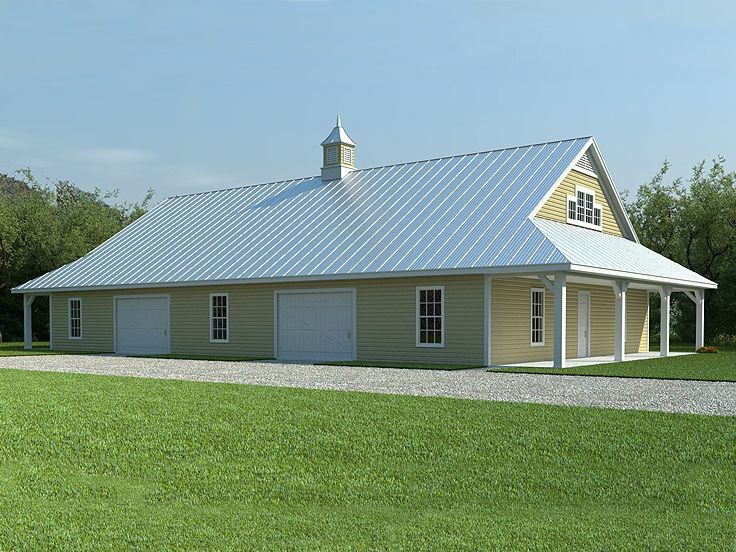 This large barn plan is flexible enough to serve a variety of needs. 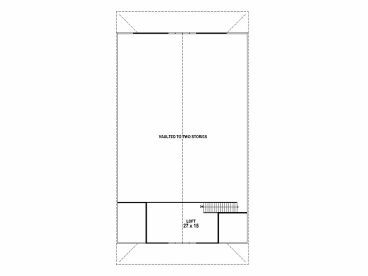 Four sliding doors (two on each side) open to the enclosed barn area offering 3212 square feet of unfinished space with a two-story ceiling, great for storing machinery and handling other farm related needs. 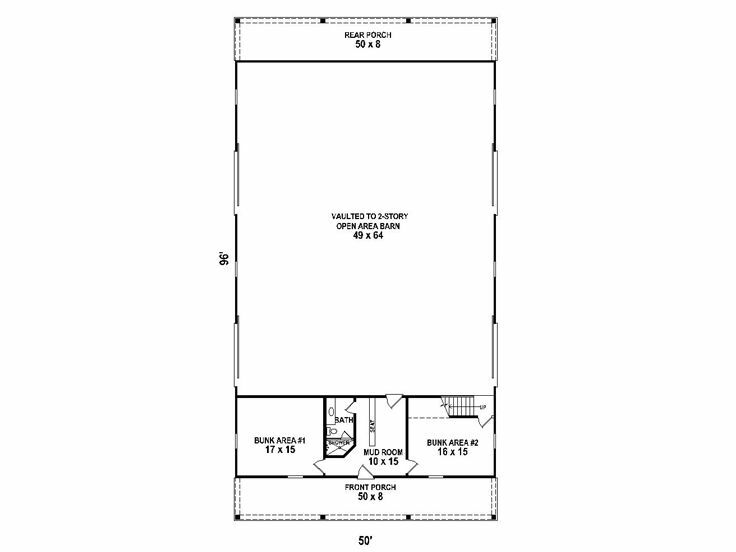 Don’t miss the convenient loft above with 480 square feet of usable space. Ideal for large properties that require farm hands, this barn plan features a 788 square foot bunk area complete with two sleeping spaces, a full bath and mudroom. You might even use the bunk rooms for weekend guest or the grandkids when they spend a week of summer vacation working on the farm. Front and rear covered porches deliver 800 square feet of shady space where you can sip lemonade or iced team on warm afternoons. And when the day is done, they offer a nice plan to relax and watch the sunset. Practical and flexible to suit a variety of needs on rural properties, this outbuilding plan works well as a barn or storage shed. 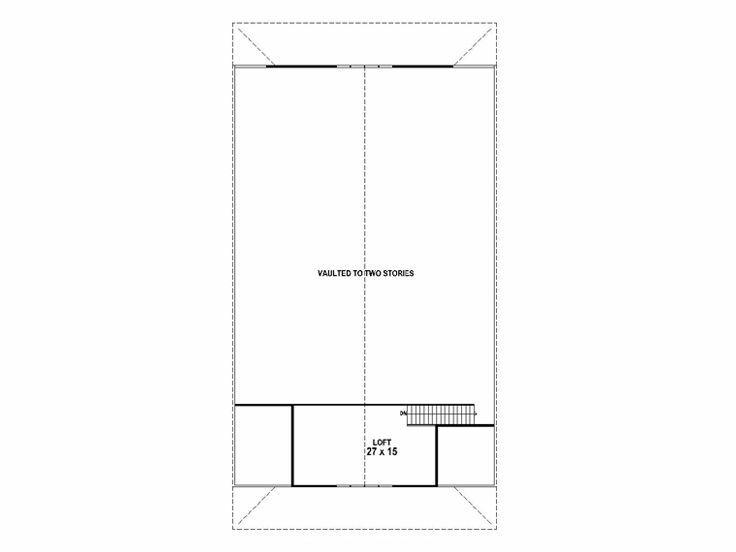 Note: The approximate overall height listed in the plan details does not include cupola. The approximate overall height including the cupola is 35’-1”.